I posted about this yesterday but after deleting and re-downloading the asset again I fixed the problem. I've opened TANE tonight and the issue has returned! I've been using the LRW procedural track which comes in grey or brown ballast types. I've been using brown but on opening TANE yesterday, all the texture had switched to grey. 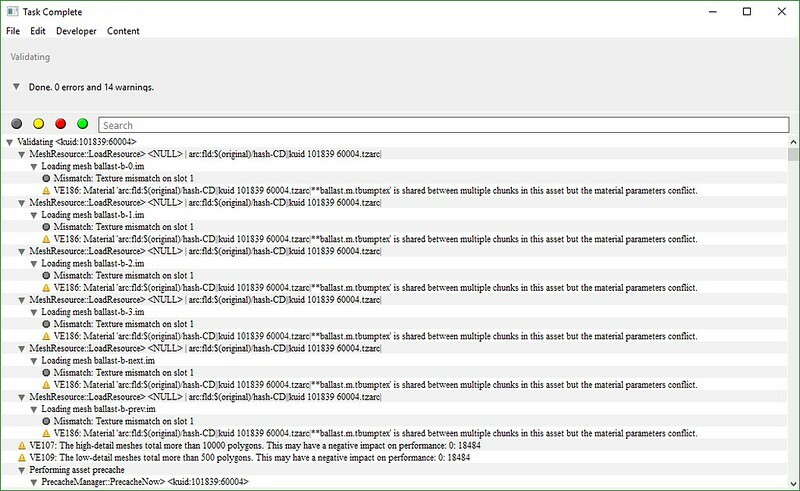 I checked the LRW mesh library and a whole load of strange faults showed so I did as stated above. This fixed the problem however, on opening the route today, it has once again reverted to the grey texture and the errors on the mesh library have returned. Ballast mesh is using the same material more than once but with different values, can only really be fixed legally by the creator as the mesh needs exporting with either the same values or the duplicate material needs renaming, for which you need Blender or Max, whatever it was created in. It may well be easier for me to replace all the track then? I'll try contacting the creator and see what they say. He's already aware of the problem a few months ago and was intending to fix it. Thread on N3V forum somewhere. Odd that it's just manifested itself for me this week. On a similar note, apart from the procedural track by Scottish and lielestostrat, what other procedural track is out there currently? There's a whole range on the DLS under 'protrack', plus another range that I have been using but I can't recall the name without checking. Andi06 made some procedural Track. 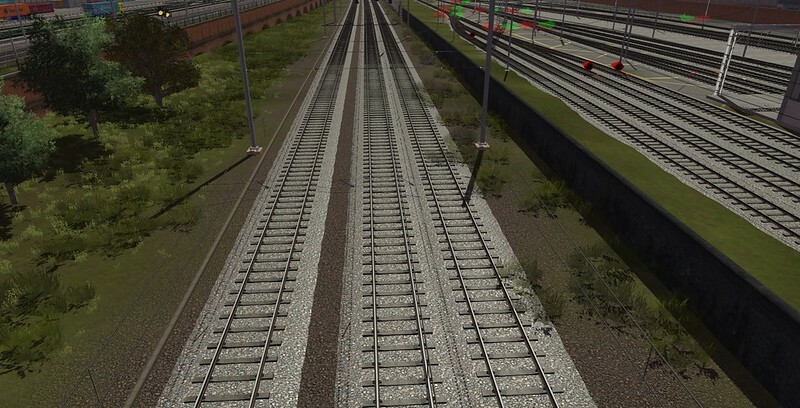 I've used a lot of Andi06's procedural track in my Aylesbury to Marylebone project. I'd recommend it too. Good stuff. I've tried the various procedural tracks and Rob's are, in my humble opinion, the best of them. I notice it was last August when there was any mention of them being fixed. My choice now is whether or not to continue with LRW track and hope for an udpate or to change over to one of the others. In the usual fashion of Trainz, I replaced the track with two alternatives and saved them both as 2 new routes. I decided to work on with the original and opened it to discover the grey ballast has reverted to brown! I'll keep going with this in the hope it stays that way for the time being or until Lielestosbrat makes an update. Just an interesting aside to my texture issue. I created 2 new versions of the affected route on which I'd used the bulk replace tool to change the LRW track to an alternative. By pure chance, I opened the original after having opened one of the newer versions, and all the grey texture had reverted to the correct brown texture. I have thus far been able to repeat this typically odd Trainz anomaly ever since. That info may be of use to someone other than me. Quick and dirty fix is to change the texture.txt for the gray ballast to point at the brown ballast in the mesh library, unfortunately here it appears to now be builtin, think it's used in the Cornwall Free DLC, can still be done however all the .textures in the mesh library would then need running through images2TGA to create the TGA's. None of this of course helps if you are releasing a route on the DLS or if you are also using the gray ballast on a different route. Maybe need a bump on the N3V thread on this one. Good idea. Personally, I find Rob's is the best of the procedural tracks (yes, I know, I'm repeating myself...). I'll post on the N3V thread to see if there's any update at all.